There are several different scripting languages developers have to choose from when building applications such as ASP, JPS, Perl, CGI, and PHP. The main debate recently has been between PHP and ASPX, but it?s hard to argue against the popularity of PHP. It?s used for WordPress development and even Facebook utilizes PHP for their site so PHP comes with a certain level of credibility and popularity. Even though most developers try to learn as many languages as possible in order to build their skills, knowledge of PHP is one of the most in-demand skills that developers should have. Aside from the fact that knowing how to use PHP will open new financial opportunities, here are some of the top reasons developers should choose PHP scripting language. The last thing you want as a developer is to be ?stuck? with a coding issue and not have anywhere to go for help or answers. Since PHP is so popular and widely used, finding help or documentation for PHP online is extremely easy. The best part is the support is free through forums, PDFs, blogs, and social media. The fact that it?s open source also contributes to the large support community of PHP and LAMP (Linux, Apache, MySQL, and PHP) in general. PHP has the largest user base of any scripting language. When comparing PHP to a language such as ASPX, the level of freedom you get is far superior. As mentioned in reason #2, PHP is open source. You can use any text editor in order to code PHP such as Notebook++, jEdit, Emacs, Bluefish, or even just Notepad if you feel inclined. If you want to develop applications with ASPX, you?re going to be limited to Microsoft Visual Studio. Restrictions are never a good thing, especially with coding. There are no costs associated with using PHP, including updates. Keeping costs down is a goal of any business and developers as well. So the fact that you can code programs with PHP for free is a huge benefit that you won?t get with JPS, ASP, or other scripting languages that require paid hosting. There are no licenses, restrictions, or royalty fees involved at all. PHP is 100% free for anyone to use. 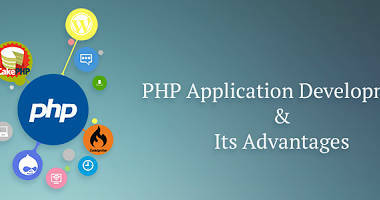 PHP is used for so many web applications and actually powers over 30% of the web. Systems such as MongoDB, Memcache, and Pusher all integrate with PHP. Almost any industry you can think of uses PHP applications in some fashion including banks, hospitals, government, and large corporations. When it comes to web application development, you?re bound to run into issues and come across the occasional ?fail?. But the benefit you get with PHP is that problems aren?t as difficult to find and fix as they are with other languages. This is because with each request, PHP cleans up and starts over. So an issue with one request will not necessarily disrupt another. In the world of IT, the word scalability is like gold. Whether you?re dealing with databases, hosting, or in this case, programming, scalability is never a bad thing. Due to the way PHP is built, you can easily increase your cluster size by adding more servers as your projects grow. PHP actually has the ability to call Java and Windows COM objects. In addition to this, you can create custom classes. Other classes can actually borrow from those custom classes as well which extends the capabilities of PHP even further. Since PHP does not use a lot of a system?s resources in order to run, it operates much faster than other scripting languages. Hosting PHP is also very easy and lot of hosts provide support for PHP. Even when used with other software, PHP still retains speed without slowing down other processes. Being that PHP is a mature language, it is also fairly stable because all the kinks have been worked out over the years.